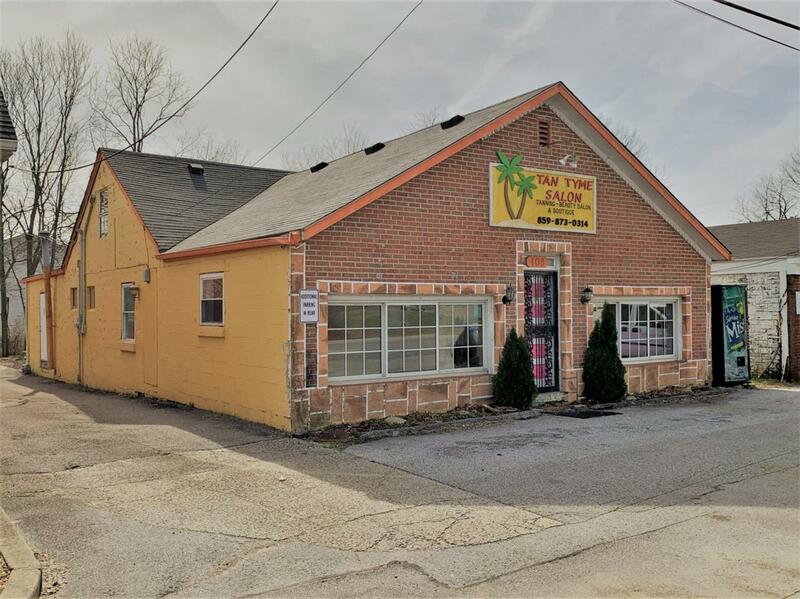 Former tanning salon/consignment shop for sale! Prime location on Lexington Rd among others restaurants, banks and shops. Plenty of parking in front or back of building. Lots of potential for a restaurant/cafe, hair salon or barber shop, tattoo shop, or retail store. Property being sold AS-IS. 1/2 bath and roughed in 1/2 bath. Listing provided courtesy of Mark Wallace of Century 21 Commonwealth Real Estate. Listing information © 2019 LBAR Multiple Listing Service. All rights reserved.